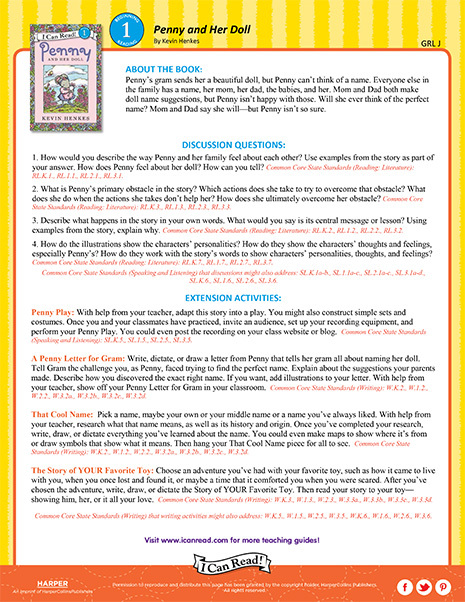 Download a free Teacher’s Guide for Penny and her Doll, a Level 1 I Can Read! book by Kevin Henkes! Download a free Teacher’s Guide for Penny and her Song, a Level 1 I Can Read! book by Kevin Henkes! 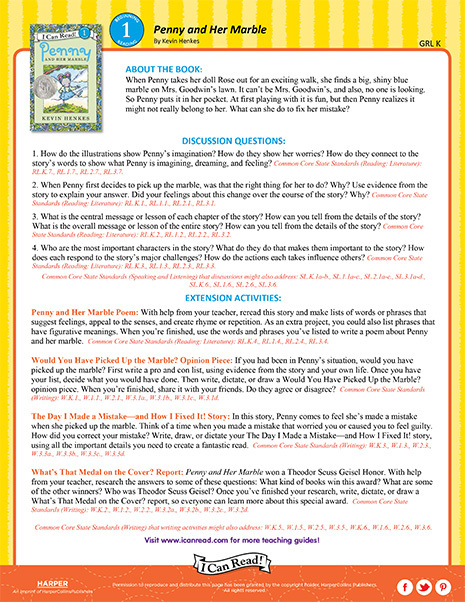 Penny is all mixed up! Can you help her with this word scramble? 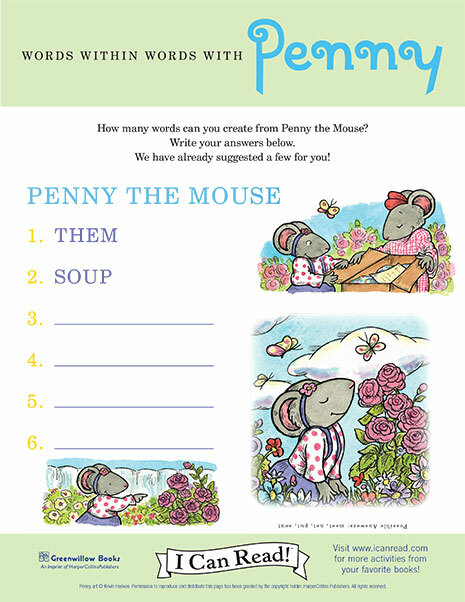 How many words can you make from the letters in “Penny the Mouse”?